Authored Adornments! What an incredible business! If you follow me on Instagram you've probably seen me absolutely raving about this business, I literally cannot help myself. 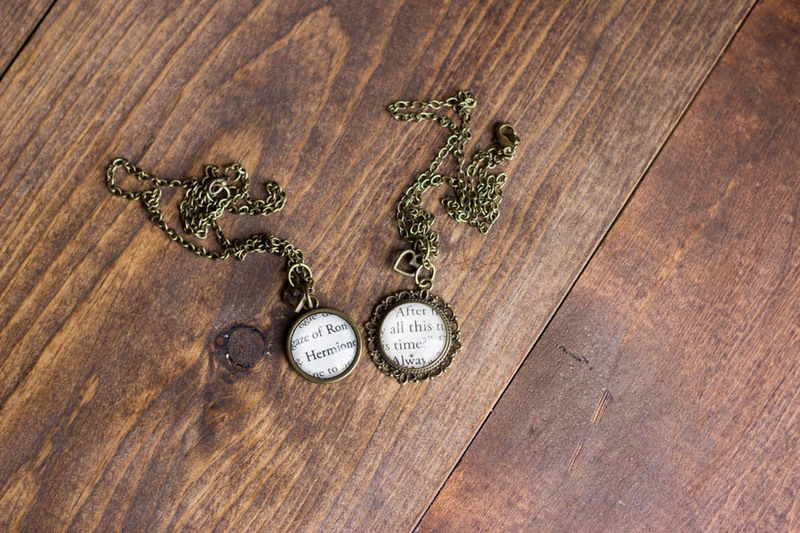 I emailed Julie, the owner and creator of these amazing pieces of bookish jewelry, about ten days ago asking if I could grab some high quality images to share with all my wonderful followers and she instantly got back to me and it's safe to say that I fell in love. 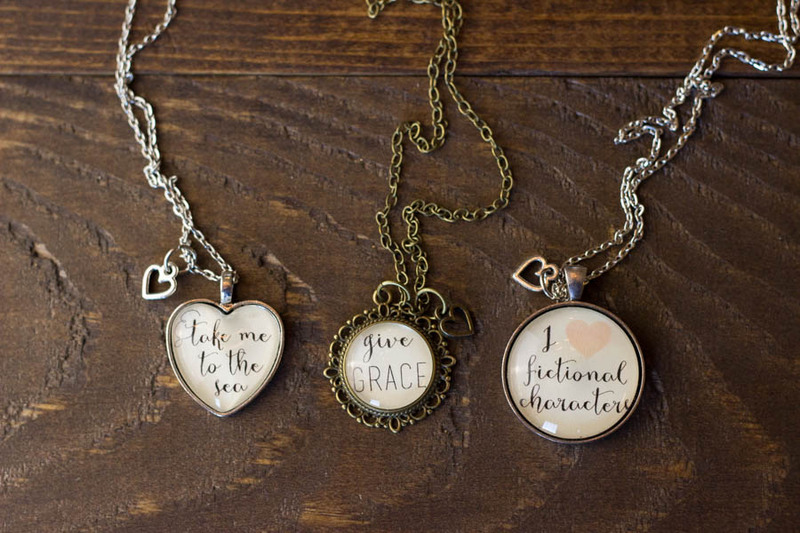 While specializing in classic bookish pieces, usually featuring an iconic character or line from a beautiful story, Julie also produces some stunning custom pieces for lovers of more current stories! 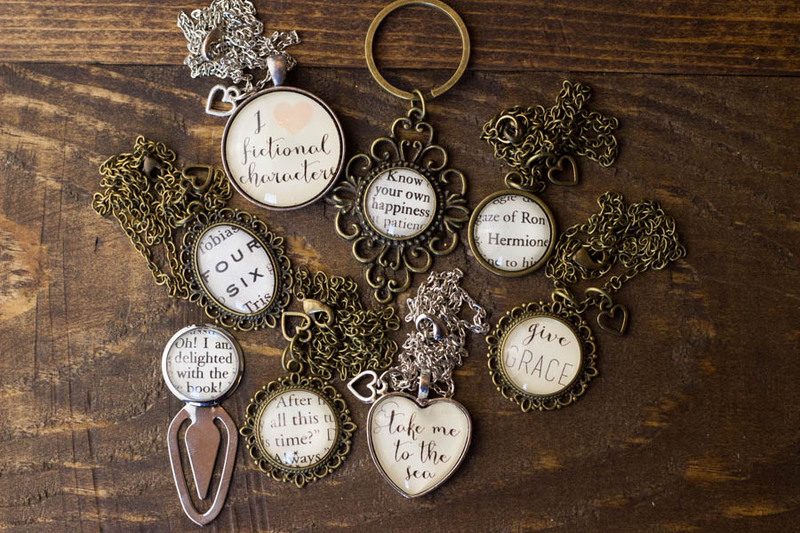 Authored Adornments offers a wide range of products, such as necklaces, rings, necklaces, earrings, bottle openers, bookmarks, key chains... the list goes on! I think I could just about spend my entire salary each month on them all... Just try and stop me! As a personal... lover? 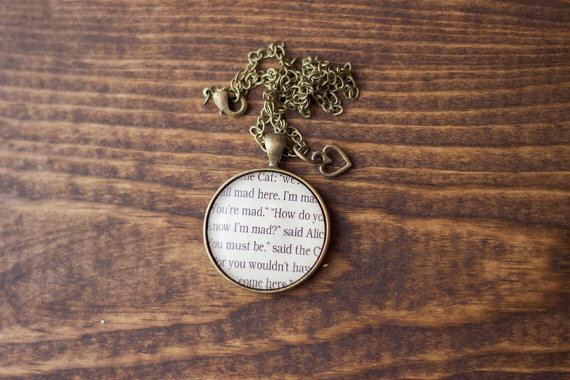 (More like obsessed maniac) with Alice in Wonderland, I was very excited to see many pieces inspired by that magical tale that many know and love. 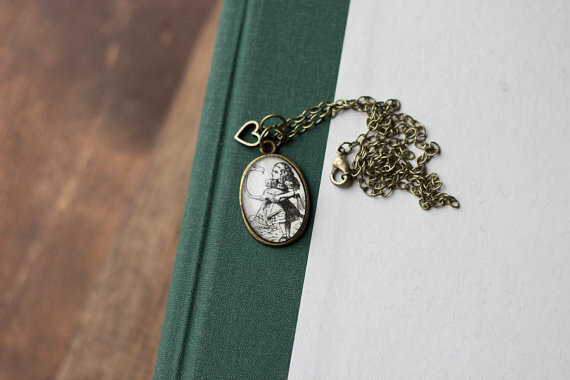 If you adore Alice in Wonderland as much as I do, you should definitely check out Authored Adornments' 1K giveaway on Instagram where you could be in to win either a bracelet or necklace! Giveaway ends September 22nd! Don't forget that you can ask for custom pieces as well! Below I'm going to list all of the ways you can check out all of the amazing pictures that Julie takes of her jewelry and where you can order them from! Make sure to 'like' them or follow them on social media so you can keep up to date with new additions to the store! I hope you've enjoyed this Feature Friday, don't forget to let me know in the comments below which bookish stores I should feature in upcoming weeks!